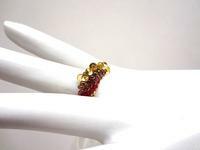 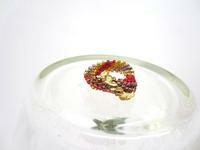 This unusual ring is made using different sizes and shapes of beads to make a wave pattern that's as distinctive as it is pretty. I've used gold and red beads, plus a touch of bronze. 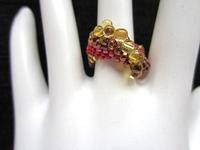 This ring is size 9, but I've others posted in different sizes and colors.